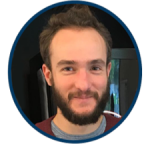 Guillaume is a Project Management Officer at one of our biggest Life Sciences’ clients. He is French and works at ALTEN Belgium for more than 3 years. We decided to focus on Guillaume because he decided to leverage his passion for the good cause. Guillaume is part of a swimming club in Brussels and with his team he decided to participate to a charity race: SPLASH on March 31st, 2019. This race will be a relay race between 10 members of the team. The objective is simple: swim as long as possible. Indeed, the more they swim, the more they raise money for the association. The funds raised during this race will be given to two different charities: La Cité Joyeuse and T’VOSJE through one same foundation which is the Lions Club of Brussels Heraldic. Those two first charities are dedicated to helping young disabled people. Guillaume is swimming in clubs for 13 years. He first started in France and when he moved to Belgium he wanted to continue practicing and keep doing championships. That’s why he decided to join the CNSW in Brussels (Cercle de Natation Sportcity Woluwé) in the Master category. To be as good as possible during the race, his team and him are training 4 times per week. The training of a relay is a different one than a usual individual race because you have to learn to coordinate with your teammates. Especially because usually, they do relays per two, not ten! Why did you decide to take part in the Splash race? ALTEN is proud to be a sponsor of Guillaume’s team on this event and wish them luck!